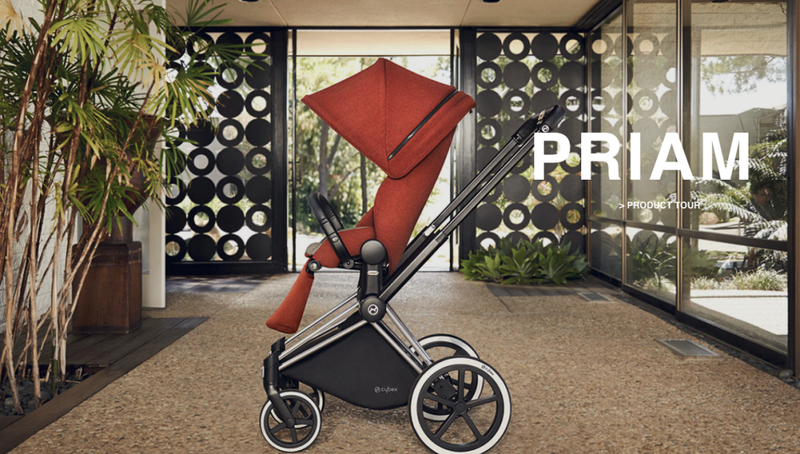 The mission was to create a online configurator, an outstanding design with high aesthetic value, which is inspiring & engaging and provides a self-explaining guidance for the customers of the new CYBEX PRIAM stroller. 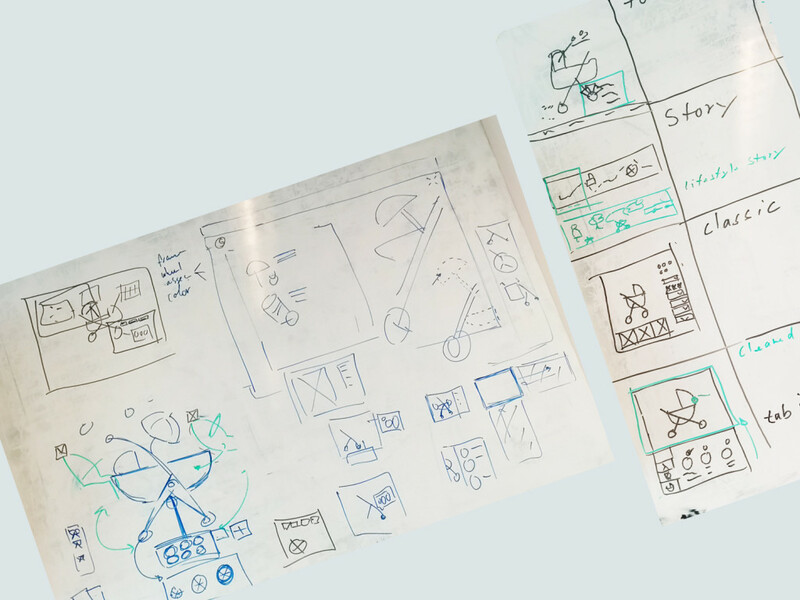 A pretty tight timeline, high expectations in design as well as usability and an international cooperation, the Osudio team delivered a great solution that exceeded all expectations. In the concept fase the approach i took was together with a small quickly sketch 5 different design directions. These were critiqued, iterated and finally compared. In a table all the pros and cons were weight against the business requirements. 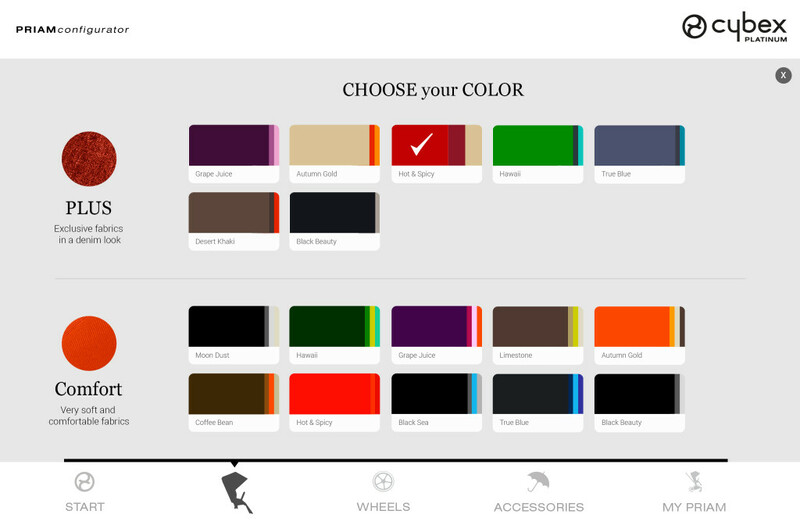 The best fitting design direction was chosen and explored a bit more. 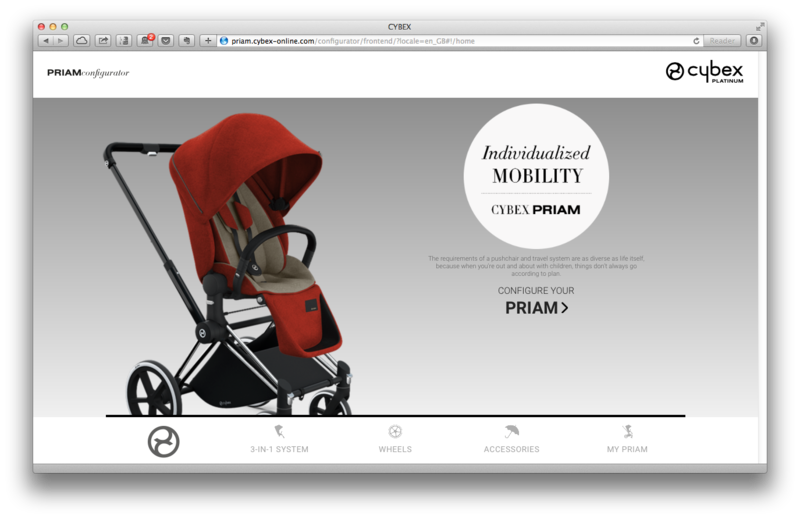 The proces and final choice was presented to the customer. 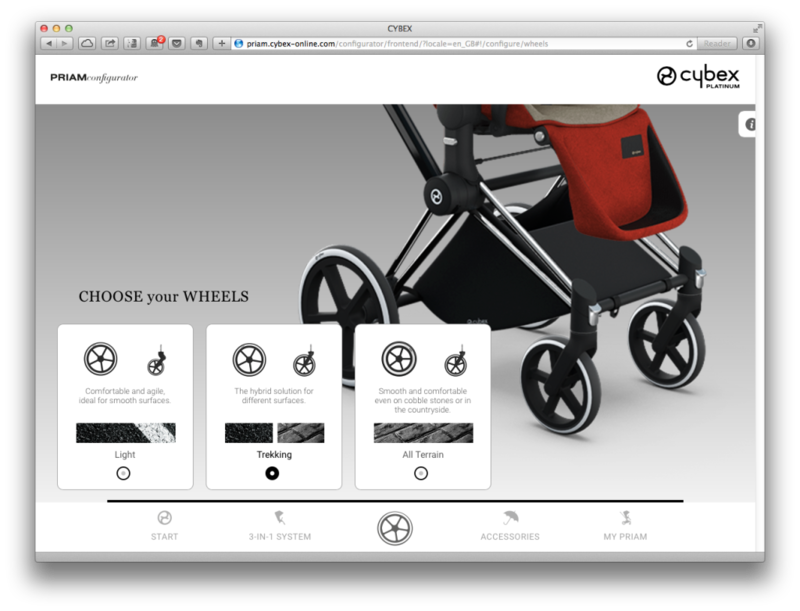 Next the configurator was designed in more detail (in UX and VD). 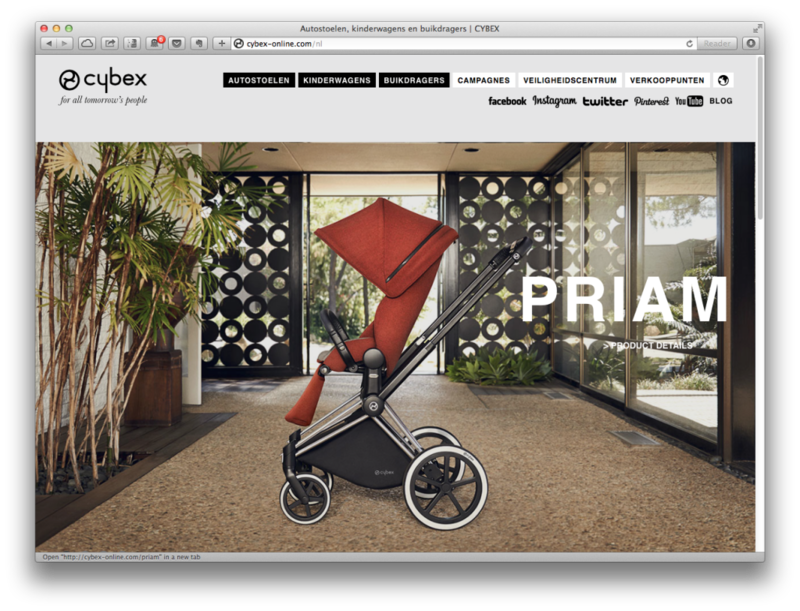 A challenge was that while we working on the configurator the client was still finalising the details of the stroller and it campaign. Us and the client held video conferences at very regular intervals to keep each other in the loop.